Note: This article applies to versions 10.4 to 11.0.05. 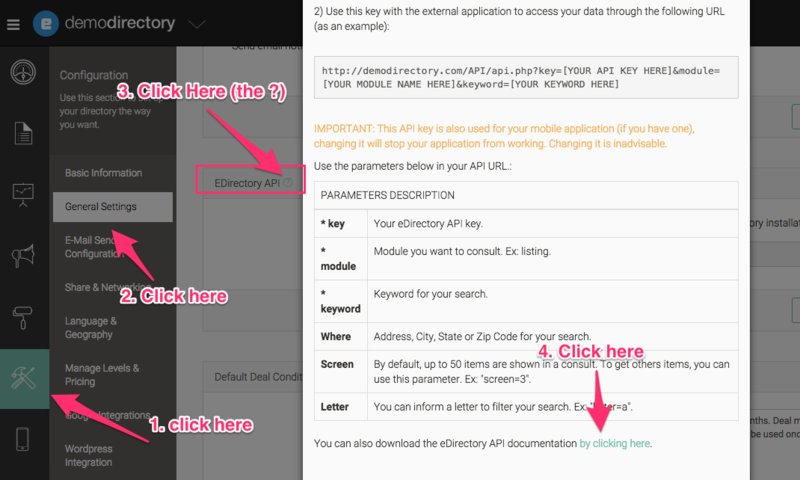 Yes, eDirectory has an API. The eDirectory API documentation is available for download in the Sitemgr->Settings->General Settings->eDirectory API (click the ? next to the eDirectory API label, and it is linked at the bottom).